I've become a big fan of nail strips since trying out the Sally Hansen Salon Effects Nail Polish Strips. 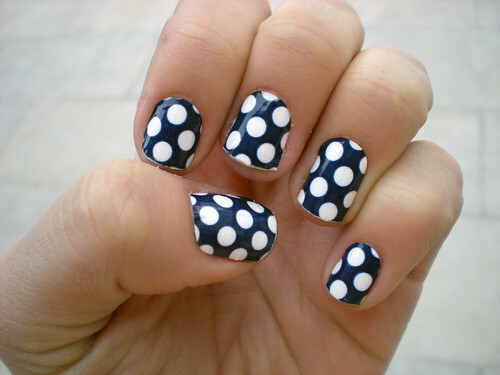 I snagged a set of polka dot print strips from Sephora a while back and I finally got around to trying them out this week. The process of putting them on is very similar to other strips I've tried in the past. With any brand, it's crucial that your nails are bare and clean of any natural oils. Picking a proper size strip for each nail is very easy because of the clear backing they are on; you can hold it over your fingernail and judge the size. Once you've picked a size, you rub the strip with your finger to heat it up, peel the strip off of the backing, then place on your nail. 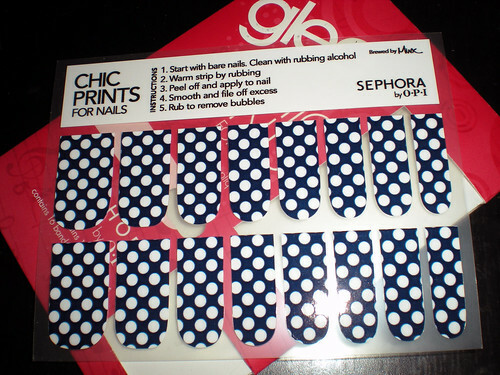 Rubbing out air bubbles is super easy and then you just use a nail file to remove the excess length. As I write this post, it is now day three of wearing the strips. I was disappointed with how quickly they tips started to wear off and the edge peeling up--it was the very next day! The print is constantly being complimented when I'm out and about. It's hard not to compare these strips to Sally Hansen's, but I've just got to. 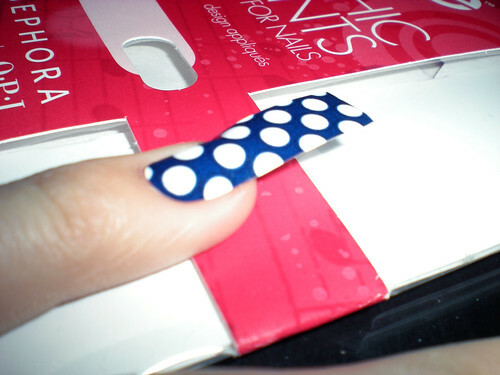 These are much thicker than the SH strips; a lot more like a sticker as opposed to actual polish. I put a top coat on today to try and get another extra day or two out of them, but the cost is just not worth how long they last. Final thought: Proceed with caution and try at your own risk! Thanks for the review! 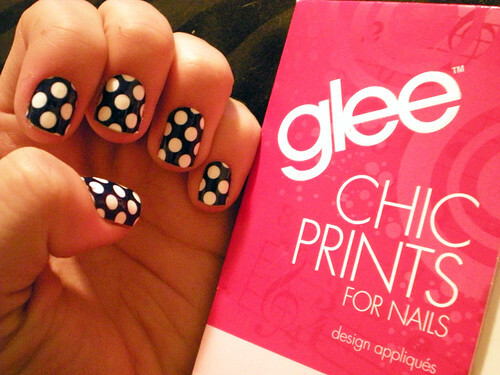 I think I might just stick to trying to paint my own polka dot nails if these strips wear that quickly. The SH ones didn't last long for me, so I bet the Sephora ones would fare badly on my nails.